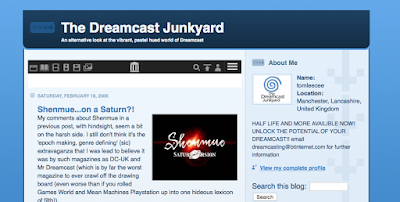 Since inception in 2005, The Dreamcast Junkyard has undergone a number of redesigns. The very first incarnation (during which we had a black theme with white text) has been lost to the mists of time, but via the ever-wondrous capabilities of the Wayback Machine, I've managed to capture all of the subsequent page headers and site designs for your enjoyment below. 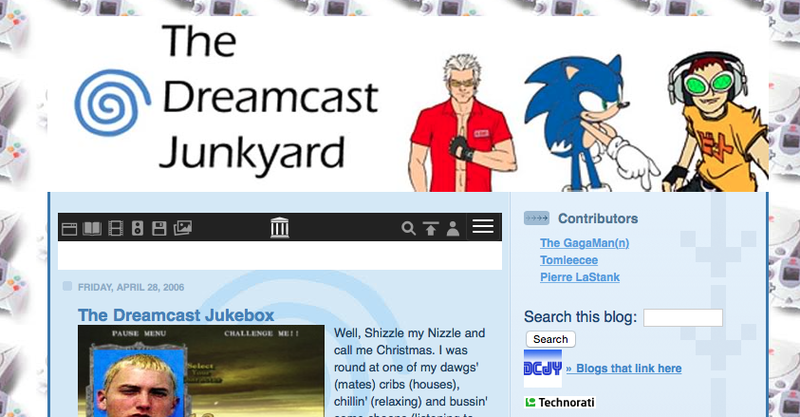 The reason I bring this up, is that you may have noticed the slight redesign of our header image up there. Just point your eyes up a bit. There you go. Looks fantastic no? This new header image intends to capture the aesthetic of the PAL, NTSC-U and NTSC-J Dreamcast game packaging by incorporating elements of them all. The PAL 'Online Functions' bar that runs along the bottom of the majority of the online-enabled game covers; the 'half-moon' from the US cases; and the orange 'corner segment' from the Japanese covers. I cannot take credit for this work of design genius though, oh no. That credit goes to a certain Mr David Heaton, the creative director of Bristol-based professional graphic design agency Never Know Defeat. With a portfolio representing a plethora of high profile clients, NKD are the real deal and you can find more of David's work here. On behalf of the team here at the Junkyard, I would like to thank David for creating the new header template for the Junkyard. 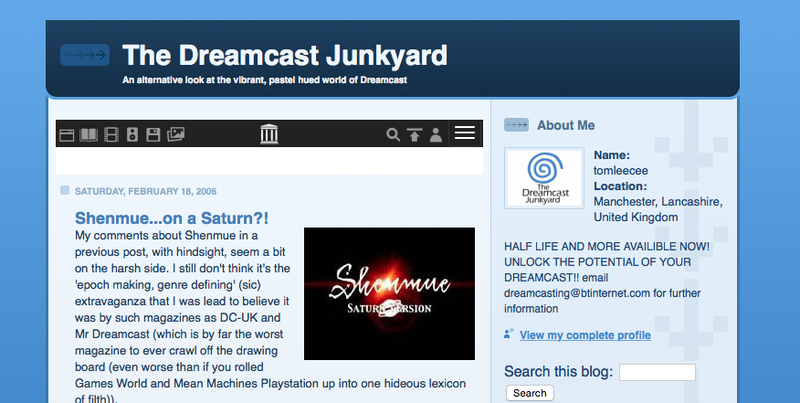 As the universe's premier destination for original Dreamcast-related content, we thought it was about time we spruced the place up (not that Barry's previous header isn't iconic (it will make a return occasionally)). To this end, David's new template gives us the ability to 'drop in' artwork and images from any Dreamcast game we desire, so let us know which titles you'd like to see represented in the comments section. Remember - let us know which games you'd like to see in future headers and we'll see what we can do. I don't have anything to suggest, I just wanted to say it's slick!